I can’t even. I have literally lost the ability to even. Bangkok is one of the best cities in the world for street food. CNN says it’s the best. Unquestionably it’s one of the best places now for both high-end and cheap eats, with food vendors all over the city on the streets and avenues with different places offering breakfast, food available throughout the day, and late night carts as well. There are so many things to eat that are cheap in Bangkok and fantastic. But the Bangkok Metropolitan Administration wants to ‘reclaim sidewalks for pedestrians’ and promote “cleanliness, safety and order” as well as “beautify” the city. Wanlop Suwandee, chief adviser to Bangkok’s governor, said yesterday that the internationally recognised areas of Yaowarat and Khao San Road would be the next target after they successfully cleared the pavements of food vendors in areas such as Siam Square, Pratunam, and the flea market under Phra Phuttayotfa Bridge. “The BMA is now working to get rid of the street vendors from all 50 districts of Bangkok and return the pavements to the pedestrians. Yaowarat and Khao San Road will be our next goal in clearing out illegal vendors,” Wanlop said. To be sure, there are amazing restaurants in Bangkok both at the high end and real cheap eats. Cross the Chao Phraya river from the boat dock next to the Mandarin Oriental (a ride across on a public boat is 20 baht). Walk straight about 100 yards and the first restaurant on the right has very spicy Northeastern Thai food, the papaya salad pushes my limits. And there’s still plenty of street food-like places inside of restaurants. It’s not that you won’t get good food. But the vibrancy of the city is going to be lost somewhat. The barriers to entry serving food will rise, and that will mean less competition and less creativity. In Singapore they’ve moved from dispersed food stalls to hawker centers, land set-asides where the government has created spaces for vendors. Bangkok’s administration claims they ‘already do that’ but not in the same way or to the same extent, or in as many places. Many clusters of food vendors have already been displaced by development projects, and while the military junta has sought numerous ‘clean up’ projects pushing street vendors aside raises the prospect that the government is collaborating with developers. Some vendors may be allowed to stay if they pay rents to set up in front of retail stores, rather than using public space. Previous such attempts have been less than successful. And indeed, there’s not obviously a shared vision for pushing out vendors across all levels of Bangkok government. There has been confusion about how the policy will be implemented. The area’s district chief, Boontham Huiprasert, said push-cart vendors who could move around would still be tolerated but larger semi-permanent stalls with seating would have to go. “Or if they can find a place to set up their shop without obstructing the sidewalk, such as behind the railing of the Thong Lor police station or some other private building, that would be OK too,” he said. Nonetheless Bangkok’s planned exit from its title as the street food capital of the world creates huge opportunities for nearby capitals, such as Kuala Lumpur and its suburbs. If I want “cleanliness, safety and order” I will go to Singapore or just stay home. Clamor and stench are what make Bangkok special. Will they also reaccommodate the non food vendors a la United? What truly puzzles me about this is the likely damage that it will cause to tourism. I’m now rethinking Bangkok for a trip I booked a couple of months ago, and it seems a bit unlikely that others haven’t considered the same. What’s next? No underage strippers or lady boys? As an expat living in Thailand for the last 14 years, I can finally say “some good news for pedestrians and health standards.” Many pedestrians are forced to walk in the roadways because these food vendors block the entire path of the sidewalks. Thai drivers don’t show any consideration for pedestrians like in the West. Moreover, it is unwise to eat food from a cart that doesn’t have a proper way to keep food cool before it is prepared. You are just asking to get sick from this unsafe practice. Many people get sick especially in the hot season from bad seafood which has gone bad. There are so many shops that sell food with proper refrigeration and running water for cleaning kitchen tools so why eat from a cart? It is unwise and the government is finally taking steps to correct this long and ongoing problem. Don’t claim that the sky is falling. 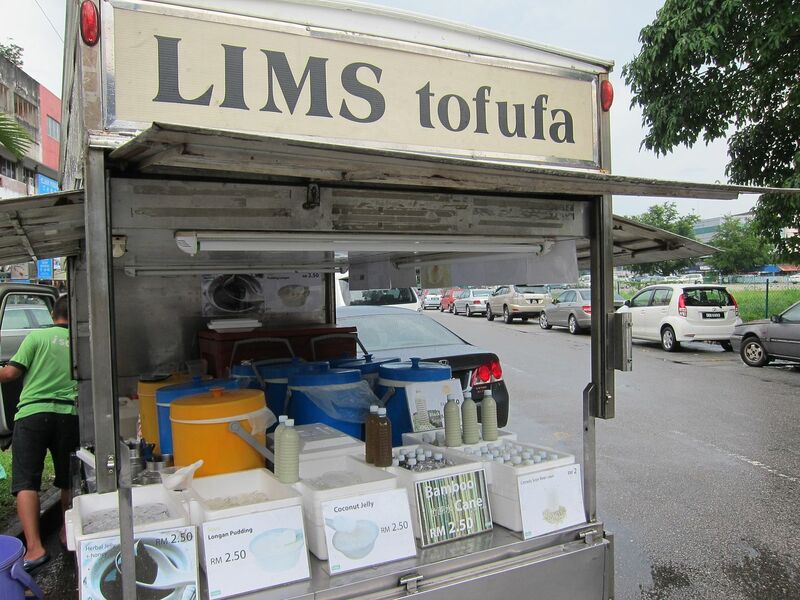 The Thai vendors will adapt and you can enjoy good safe food in the future. You’d be shocked if I told you that a lot of Thai people are actually in support of reclaiming the sidewalks. They also agree that there should be ‘hawker centers’ like Singapore for the food vendors but clearly that’s not happening. Many also agree that the food vendors aren’t the real problem but people selling everything else that is the real issue. There’s still plenty of excellent and cheap restaurants all over the city. Dennis and Matthew you both should go back to your country if you don’t like the smell or inconvenience of the Bangkok street vendors. Ah Thailand. The only country in the entire world where I managed to get food poisoning and that was from french fries in a restaurant no less! 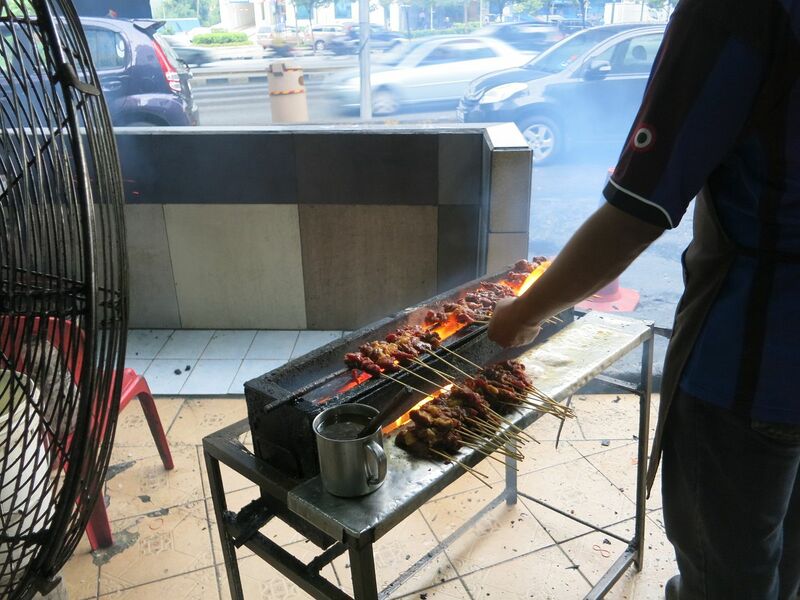 Banning “street food” from the street is different than banning street food itself. The food will still be available. It is hard to believe that this clean-up will stick. However, if so, where will I buy my cooked bugs! Ridiculous plan, though I believe there will be major protests before it will be allowed to pass and then the government will probably backtrack on it’s plan. Thais are not pushovers like most westerners are, who think government acts in their interests when in fact the exact opposite is true. However, if the BMA really thinks visitors will still come to Bangkok if it starts to look like a sanitized version of its former self and resembles Singapore, they have another thing coming. Frankly, if a future street stall-less and overly regulated Bangkok comes into existence, we might as well just visit Singapore, Sydney or another sterile city or stay home. Alternatively, Ho Chi Minh City, Hanoi, Yangon, Phnom Penh and other foodie cities in the region will see their economies flourish thanks to an injection of visitors who have decided to no longer visit Bangkok. Would you tolerate the sidewalks in Washington DC being taken over by illegal food vendors so that people have to walk on the road causing traffic to slow down and ultimately snarl? If not why do you you expect Thailand to tolerate it in its capital just because some backpackers find it quaint? Licensed food trucks which do not block a sidewalk permanently and which move around to various locations may be acceptable but anyone putting up a shack on a sidewalk is not. Of course illegal street food is cheaper as they are not paying rent. If you cant afford to eat at proper restaurants than you should be staying at home not backpacking rather than ask another nation to let its sidewalks become/stay a mess like New York. @prabuddha- what are you talking about? Have you even been to Bangkok? Probably 95% of the customers I see at street food stalls in Bangkok are locals. I’m with a lot of people here – Bangkok has always been vibrant and interesting and that fact is not reliant on street food alone. Why people would consider changing travel plans just for this I cannot fathom. If the Thai people want to change things then it’s not down to travel writers or tourists to tell them otherwise. There was outrage when the Thai junta demanded the removal of sun beds etc. and illegal food places from beaches on Phuket – but you know what? A lot of tourists actually like the result…a more “natural/authentic” experience; somehow thats “right” but this is “wrong”. Whose standards are being applied? @Dennis – Absolutely. 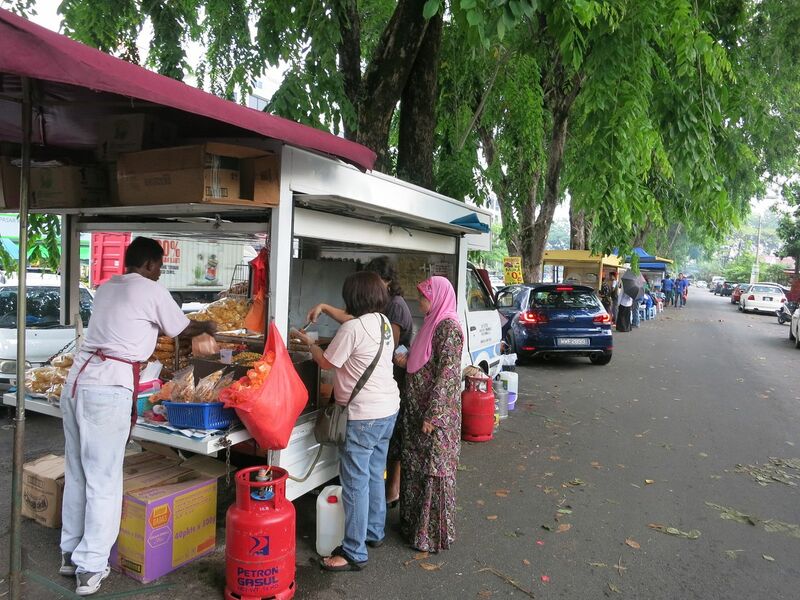 I love the food but It is almost impossible to walk though certain areas when these vendors are in operation – not simply an inconvenience, it’s a danger stepping into the streets to move around them. If they moved all the non-food vendors to the night market areas, that would open a lot of space. While this is Bangkok, I’m sure that this will be enforced for all of a week, should this actually happen, the vendors are a resourceful bunch, they’ll find other areas to set up shop. Part of the charm and uniqueness of Bangkok is the street chaos, but this also conflicts with the challenge of a modern city with clean efficient streets apes for the movement of people and vehicles. Singapore is the model of a modern efficient tropical Asian city and regimes in other countries who have previously overlooked the chaos of growth and expansion (Bangkok, KL, Jakarta et al) are now looking to copy Singapore but in societies that are not as well educated and orderly as Singaporeans. We should recall that when Singapore began to “clean things up” in the 60s and 70s following its departure from Malaysia, it moved the street food into consolidated hawker markets (an off shoot of the Chinese night market concept), something we now praise about that city. But I agree Bangkok will lose much of its character by this plan…though can it continue to cope with the demands of a modern city without addressing the chaos in its streets? @Prabuddha that would be awesome! But then I was hoping Hillary Clinton would become President since we were warned that would mean taco trucks on every corner. Turns out the cited articles are way off. They’re not banning all street food but in very high trafficked sidewalks. So Yaworat and Khao San are not being touched as of now. @BC the only reference I can find is this story in Bangkok Post http://www.bangkokpost.com/news/general/1234791/street-food-order-starts-in-chinatown-khao-san so please tell me if you’re seeing something else. So not ditching street food entirely (as I mentioned in the post “Some vendors may be allowed to stay if they pay rents to set up in front of retail stores, rather than using public space” and “there’s not obviously a shared vision for pushing out vendors across all levels of Bangkok government”), but severely regulating it and limiting it. Is there newer and better information on this? Really, if they went with Hawker centers/stalls like in Singapore and Malaysia, that would be fine. Probably better. Basically this confirms the end of the universe is near. Who’da thunk? I’ll still go back. This isn’t worth getting a wedgie over. It ain’t the end of civilization as we know it.